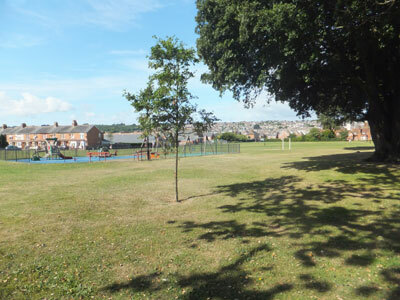 The Jubilee Recreation Ground to the south of York Avenue East Cowes, was given to the town by Lord Gort in 1887 in honour of Queen Victoria’s fifty years on the throne. The Gort family were generous benefactors to East Cowes, making donations of land, shrubs and street furniture. In 2012, the Recreation Ground was dedicated as a Queen Elizabeth II Jubilee Field, this had the effect of protecting the field against development in perpetuity.